I have been eyeing this watch for a while now. Seeing them frequently appear on lots of fashion bloggers wrists and hyping about them. For a while I was perfectly content with my little ol' Urban Outfitters watch. While I still really love my globe Urban Outfitters watch. I just wanted something a little more fancy. Something that can be worn more than just as an everyday type of watch. 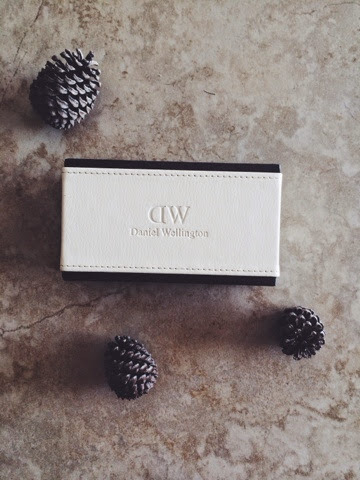 A couple of weeks ago I spotted the Daniel Wellington watch at a jewellery shop at the beach. Of course I had to try it on just to see what it was like and instantly fell in love. The beautiful rose gold finish and lovely thick bands is what got me. It's simplistic yet elegant. A watch I have been scouring the city for a while. I pretty much went home, browsed the web and looked at more reviews from different bloggers about the watch "it can't hurt to do a little research". I found nothing but lovely reviews on was instantly sold. 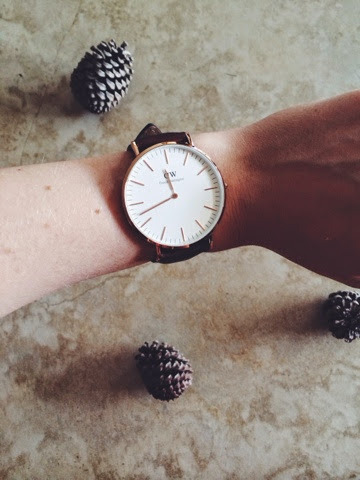 It didn't take me much convincing from there, before I jumped on the Daniel Wellington website and ordered my watch. So if you are browsing to add to your watch collection, and are looking for something thats simplistic yet elegant. I'd definitely take a peek at these beautiful range of watches Daniel Wellington has to offer. 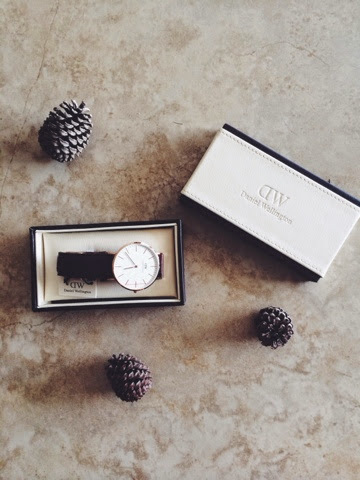 "If not for the watch then definitely for the box ;)"
So thank you Daniel Wellington for the beautiful watch and quick delivery! What are some of your favourite watch brands? ?